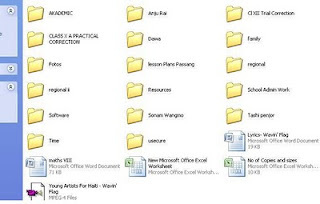 I tried hundred ways to retrieve my folders only to find myself defeated and fearing the worst. But deep in my mind I was praying to Google. I knew Google Rimpochee will have a solution. And yes, after three or four tries I landed up with the following solution that WORKED. Over 9000 Files- Lost and Found! Click on "Start" -->Run-->type cmd and click on OK. Note : Replace the letter g with your flash drive letter. Now check for your files in Pen Drive. ﻿﻿To all your life's problems there is Google Rimpochee! Google seriously is a Rinpochee in this technologically sophisticated world..... without it....one cannot even earn/ complete a degree now a days!!! Glad your problem is solved! Right Pema, my colleagues joke about me regarding Google as god but I can't help accepting it that way..and I know even god himself will agree with me. The Hardware/OS section is for serious and helpful discussions regarding your computer hardware and Operating System questions. If your post contributes nothing to the discussion and is just adding to your post count, DON'T POST IT. You'll generally be seeing an infraction in your PM inbox if you do.